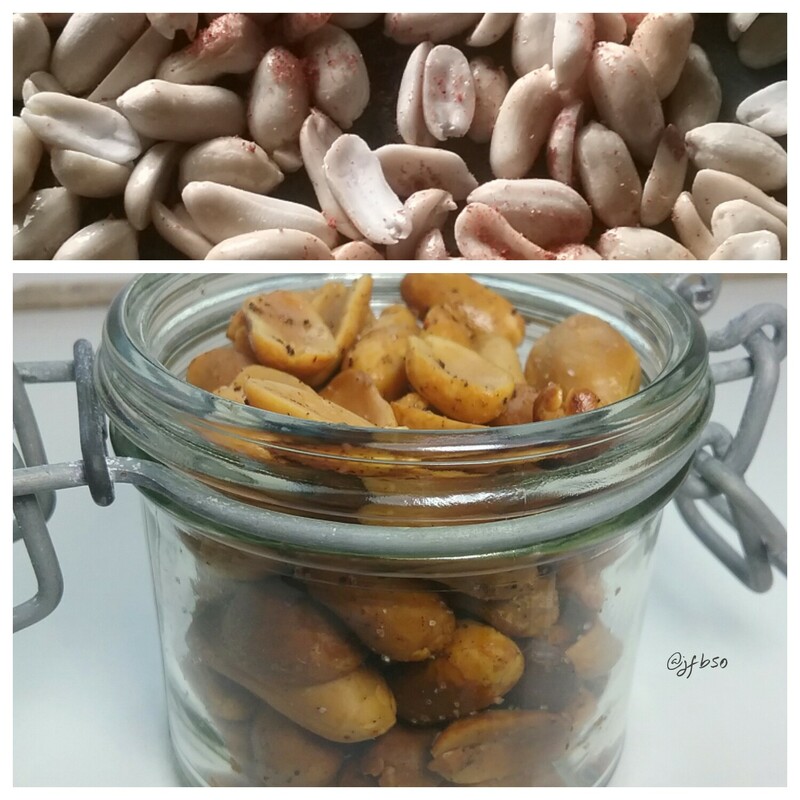 Roasted peanuts | Jo's food bites. So simple to coat and roast nuts yourself rather than buying them. This way you know exactly what has been used as ingredients. Place on a baking tray and drizzle with coconut oil. Sprinkle with seasoning of your choice – I used harissa and then roast for about 10 -15 mins at the top of a hot oven. Once golden brown, remove from the oven. I then sprinkle with a pinch of pink Himalayan salt. « But I always have a pudding!